If you have a question about poker or just want to talk to like minded people then Poker Forums are the perfect place to visit. Some poker forums are better than others, some have little information or traffic and some have tons. Here we will tell you which ones we think will be most useful for you. TwoPlusTwo is a very well known poker forum that has been established for many years. Founded by poker great David TwoPlusTwo gets has had millions of posts written on it, there is so much information on strategies, poker tournaments and celebrities as well as just general poker talk that it can sometimes be hard to find what you want if you’re new to the forum. But having said that it if you post a question you are certain to get a number of responses. 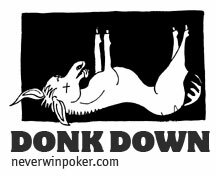 DonkDown poker forum (formerly known as NeverWinPoker) on the other hand is well known for making highly inappropriate poker related topics and have been the source of much controversy in the poker community. If you want to find out more about this controversial forum you please read our review. If you need an easy to understand poker forum to start you off then PoketFives is a much loved forum with a more up to date design than TwoPlusTwo and less topics meaning you should find it easier to see what you’re looking for. PocketFives also has its own Poker system as well as a pokercast and regular broadcasts. 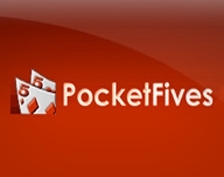 See our review if you’d like to know more about the PocketFives Forum. PokerHarder UK doesn’t currently have its own poker forum but who knows, if its something our community needs then we will let everybody at PokerHarder know. In the meantime though there should be more than enough information and fun here to keep you busy as well as regularly updated content for your enjoyment.